Discover the creative energy of Devora’s passion for designing and creating works of art in glass. 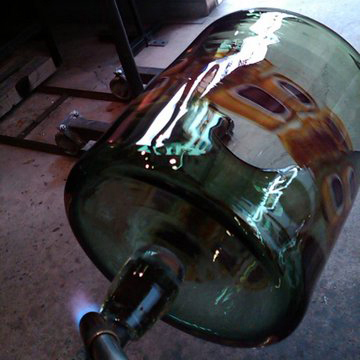 Blown glass, cast glass, sandblasted and etched glass are all part of the journey. 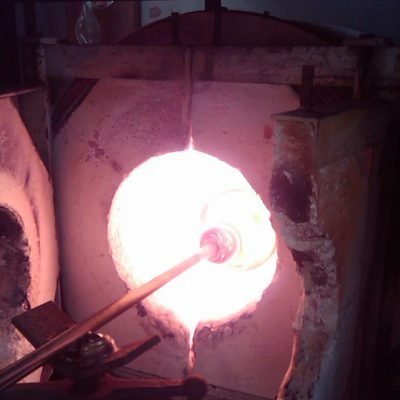 In much of my glassblowing, a team approach is used, particularly for larger pieces such as the bowl being made here. 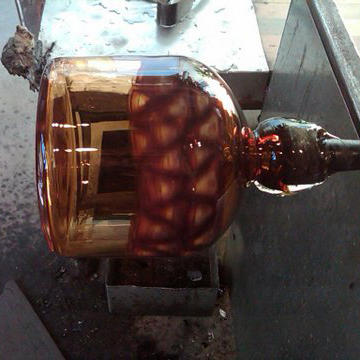 Silver leaf is applied to the outside of the piece while it is in the early “Bubble” stage. When the piece is blown up larger and spun out, the silver leaf crackles, and breaks up, showing thru the glass to create a magnificent sparkle effect. The second piece we are making is a cylinder with a belt or band of “mosaic-like” bits of glass that have been made in a previous session. 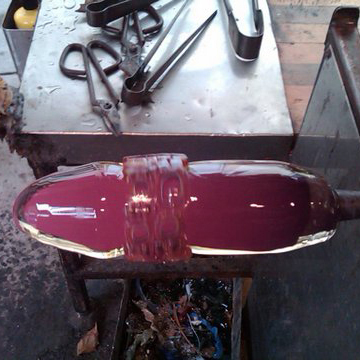 The pieces are laid out in a design or pattern, rolled up onto the bubble and melted in before the piece is fully formed. The use of these small bits is called “Murinni”, it is an ancient technique used by Italian glass artists.